That Day, while reading some life lessons of common people, I read a story which made me realize we were better off as a kid,life had so many better meanings. It was an interesting story about a kid’s belief and our convictions. All these years while growing up we have lost our faith in kindness and good deeds that we believed so much when we were just kids. Last week I went to a restaurant with my group of friends. Next to our table, a kid about six-seven year old asked his father if he could say prayer. As they bowed their heads the child said, "God is good. God is great. Thank you for the food, and I would even thank you more if dad gets me an ice cream. And Peace and justice for all! Amen." Along with applaud from my friends and other people around; I heard an old woman remark, "That's what's wrong with this country. Kids today don't even know how to pray. Asking God for ice-creams and stuff, we never did that ". Hearing this, the kid burst into tears and asked his dad, "Did I do it wrong? will God be angry with me?" As his father tried to assure him that he had done a good job and God was certainly not mad at him, an elderly gentleman approached the table. He smiled at the child and said, "I happen to know that God thought that was a great prayer." "Really?" kid asked. "Of course, trust me." Said the old man! Then in a dramatic whisper he added, "Too bad people never ask God for ice cream. A little ice cream is good for the soul and heart sometimes”, indicating towards the old woman whose remark had started this whole thing. Naturally, the dad bought his kid an ice cream at the end of the meal. 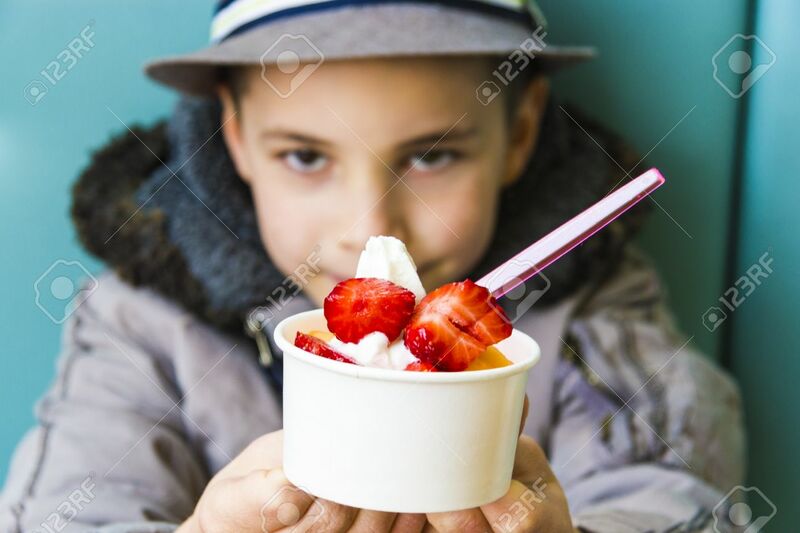 As we looked for the kid’s excitement, he stared at his ice cream for a moment and then did something special. He picked up his cornetto and quietly walked over and placed it in front of the old woman. And With a big smile he told her, "Here, this is for you. Ice cream is good for the soul and heart sometimes, and my soul is good already.” It doesn't matter what we wish for, what does matter is the intentions behind them. A3 Size Paper @ 4725 Rs.